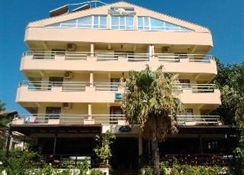 The Samoy hotel is in a great location, where you can be sure of a friendly welcome.The hotel has an outdoor pool with loungers where guests can cool down with a dip then soak up the sun, or simply read your favourite book on a hammock while relaxing in the shade of the giant apricot tree. 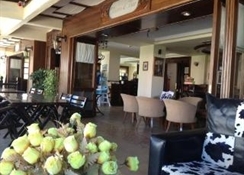 The hotel restaurant offers an inclusive buffet breakfast, and guests are also able to take lunch and dinner at the a-la carte restaurant, where they serve the best of Turkish and Mediterranean cuisines, fans of old American cars will especially enjoy the unique interior. The hotel has a mini cinema, where you can watch DVD''s and a bar to grab a cool drink. There are safe boxes to hire and the reception is open 24 hours.All rooms are simply furnished and comfortable, all have a balcony, Individually controlled air-conditioning (local charge), Satellite TV, Telephone. 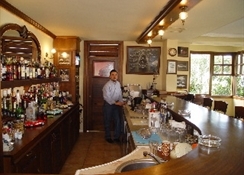 Samoy Hotel is located in lively Marmaris, just a stones throw from the beach and with countless, bars, restaurants and shops all within easy reach. 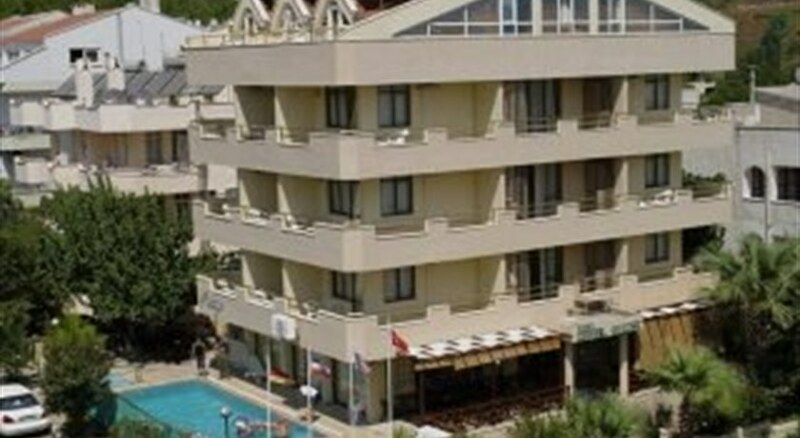 The hotel is just 20m away from the Aquapark and 95 km from Dalaman airport.